St. Petersburg State University of Film and Television provides very successful student exchange programs - International Student Flm Projects in collaboration with several European universities. International Student Film Projects are conducted by the University annually since 2002. The first exchange was organized jointly with the Media College Denmark. Now University collaborates with film schools of Finland. An international project usually consists of two stages - each party plays host to a group of students from partner film school. Students shoot 1-2 fiction or documentaries within 1-2 weeks in a mixed international crew. Workshops, lectures, meetings with famous people and excursions are also carrying out during the project. 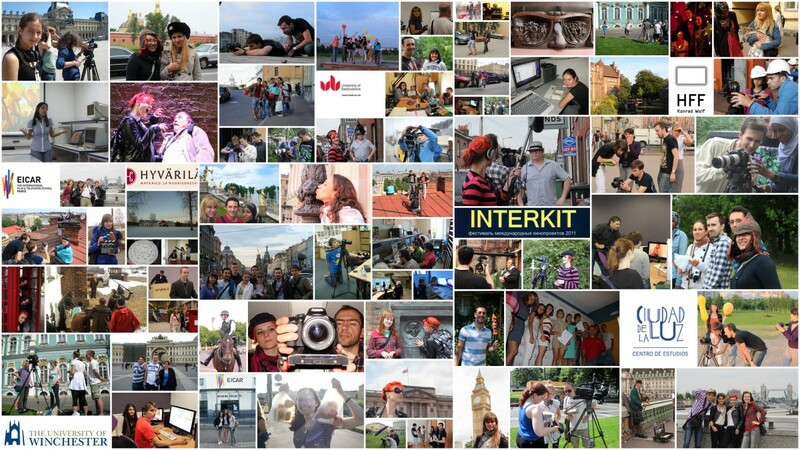 Participation in these projects gives a unique experience of filmmaking as part of an international team, both for students of creative disciplines and technical. On the shooting area students can put into practice their knowledge gained in the process of learning, they can study new techniques from foreign peers and teachers and at the same time to practice a foreign language - the language used on all projects - English. For participation in the project students need to know spoken English and have skills in one of the cinema profession, which they choose to work in an international team. As a result of international cooperation with foreign partner universities students and teachers create short films. Among them documentaries and feature shot films in different genres and styles. In addition, project participants edit films illustrating the process of working on movies and other memorable moments while interacting with foreign students. International projects serve a purpose of cross-cultural interaction and mobility. They also aim to develop a new approach to the exchanges and cooperation between Russian and foreign universities, facilitating learning in an international team for a successful career in television and film industry in the future. Each group consists of students from different countries. Members of international groups learn international language of communication based on the knowledge of the necessary terminology. The obvious result of an international project becomes a television program or film, created by students. More important result is that the participants have mastered the common international language of communication and technology. They have overcome the psychological barrier of communication in a foreign language and have mastered the skills of working in an international team. They will be ready to interact during the work in film and television after they finish the universities. These graduates will be the leaders of the new generation of mobile professionals in film and television area. The International Relations Office provides carrying out of all activities related to the organization of projects: a competitive selection of participants; arrangement the of foreign students and teachers arriving (execution of invitations, organizing accommodation and meals, transportation, cultural program, providing film-making process); preparation for shipment to foreign universities student teams and the organization of foreign business trips of the University faculty and staff.